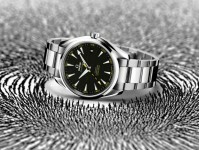 If you have been looking for a unique watch, then your search has come to an end. We have two very unique watches from Konifer, designed to offer a sophisticated, unique look. 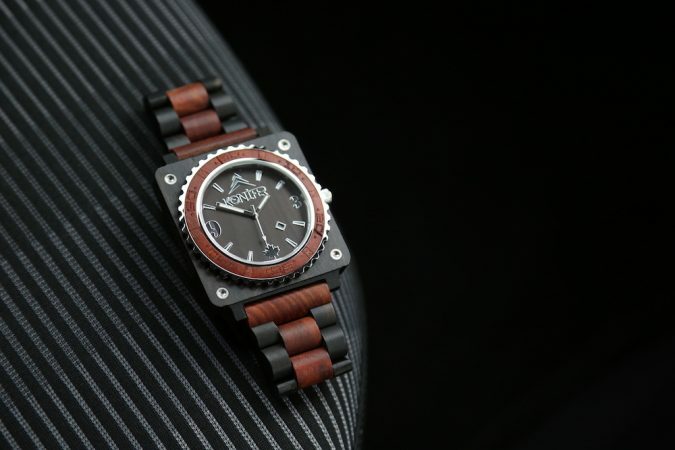 The Adirondack Ruby and the Sequoia Chocolate are wooden watches that have been designed to emphasise the natural look. They are designed in Canada and sculpted out of raw materials with an elegant, rugged finish. The inside of each watch has a maple leaf for a custom touch. 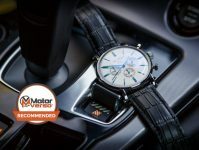 The best thing with Konifer watches is that you will never find two identical watches since the wood grain is usually from a different part of the wood log so yours will be unique. Both Adirondack Ruby and Sequoia Chocolate watches are entirely handmade with an earth friendly construction of sandalwood. 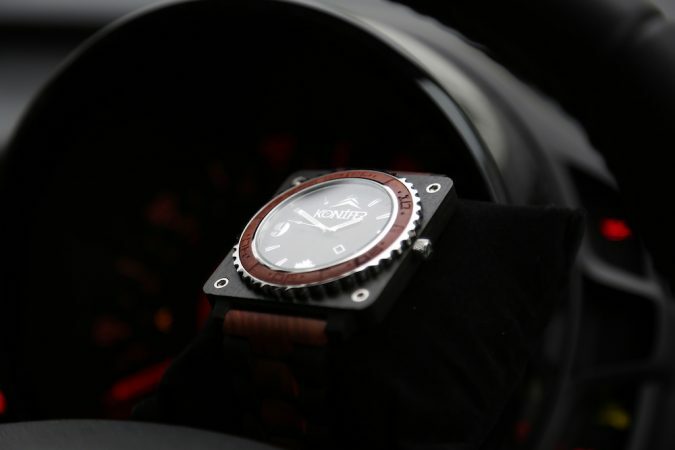 Their watches also come with hypoallergic finishes for people with sensitive wrists. The sandalwood grain and a handmade finish exhibit a distinguished level of craftsmanship. The wristbands are adjustable and the watches weigh just 45 grams, which make them light enough to be comfortably worn on the wrist. Both watches are powered by Sony batteries and they use the best Citizen Japanese movements. The Adirondack Ruby watch has an eye-catching square shape with a round dial and bold black and red colouring. 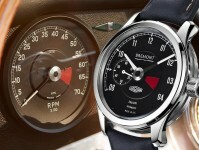 This colour scheme gives the watch a distinctive and unique look. It is made from a blend of pure, sturdy ebony and luxurious, red sandalwood which gives the watch a dual tone design. This design makes it the best choice for a high style man who wants to stand out with an element of fashion in their wardrobe. 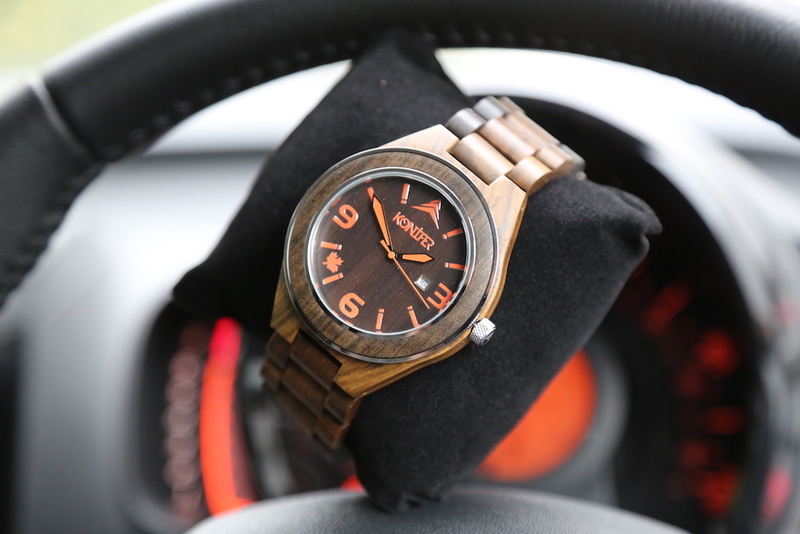 This two tone wooden watch has a non-toxic satin oil finish and you won’t find it in any other market. 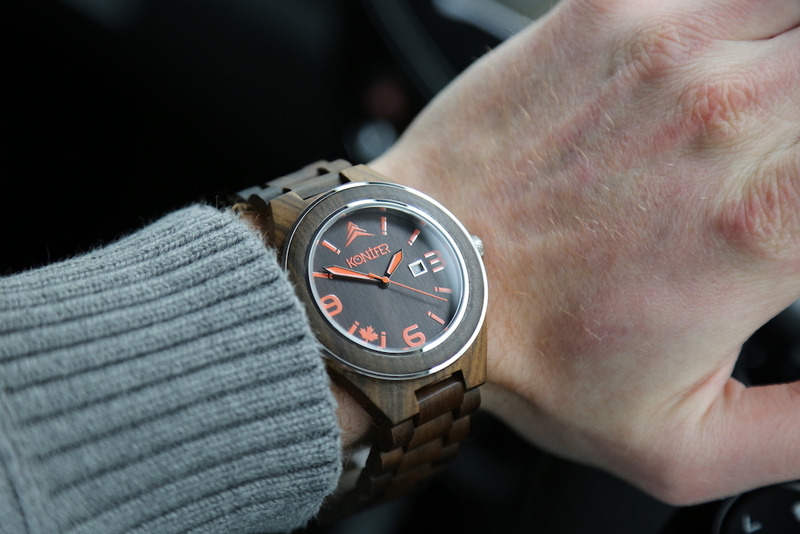 The Sequoia Chocolate watch has a handsome grain with a non-toxic satin oil finish, giving the watch a unique look. 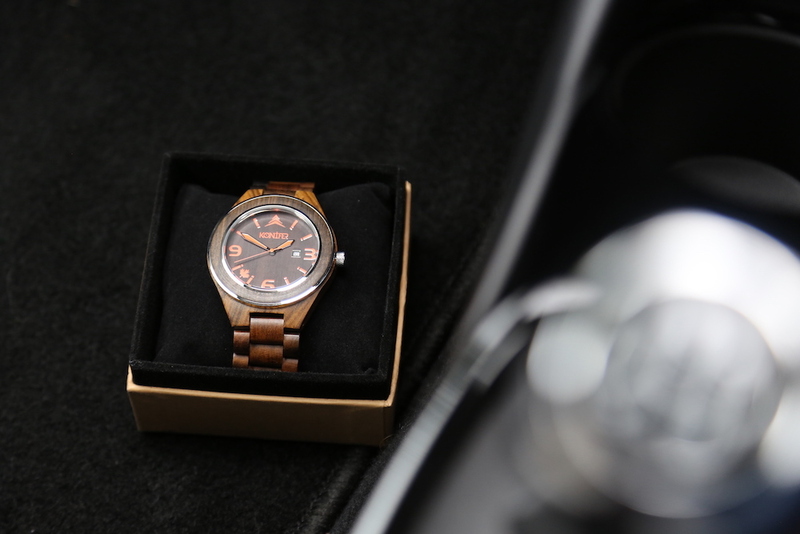 Its luxurious deep brown colour gives the watch a polished appearance of professional elegance. The band length is 222mm but is adjustable and the face is 50mm. This watch can be worn both casually and professionally. 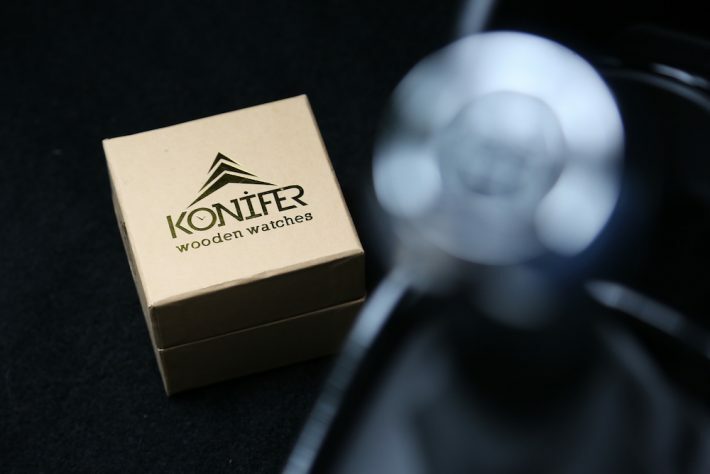 Konifer watches have a five-year warranty from the time of purchase against any mechanical problems, you will find all the details at the bottom of the box. For such unique and elegant watches you will part with around £100. You don’t need worry about collecting it because Konifer offer free delivery all over the world. At Konifer, conservation of natural resources is important. When you buy a watch Konifer has pledged to plant a tree, through their partner We Forest, as a way of giving back to nature for the precious wood it gives them.